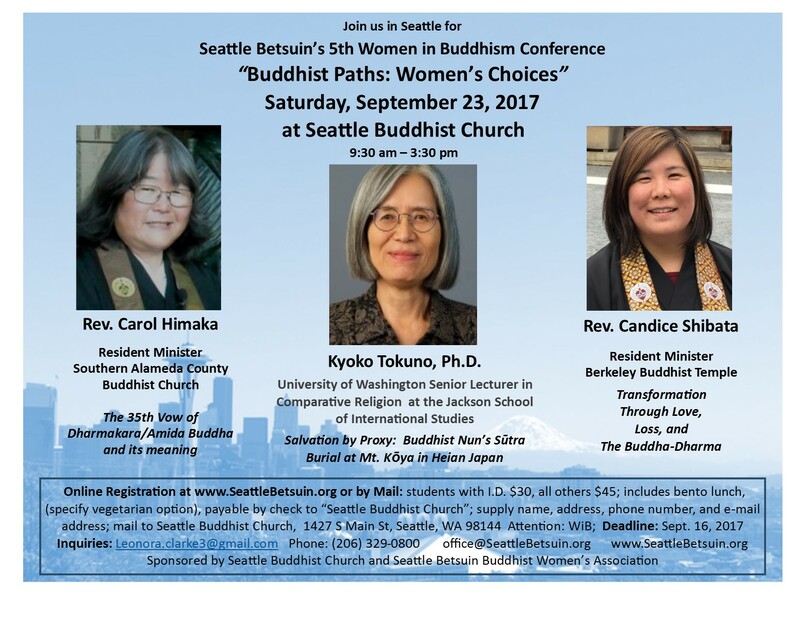 After a year’s hiatus, the temple’s almost-annual Women in Buddhism conference is returning September 23, 2017. Three outstanding guest presenters have committed to sharing their knowledge and expertise that day: Rev. Carol Himaka, resident minister of Southern Alameda County Buddhist Church; Rev. Candace Shibata, minister at Berkeley Buddhist Temple; and Dr. Kiyoko Tokuno, senior lecturer in Comparative Religion at the University of Washington’s Jackson School of International Studies. See the flyer for the titles of their presentations. You can register here.